A visit to the dentist can cause fear and anxiety. Patients who experience dental phobia may postpone or avoid vital dental appointment, and multiple dental visits are out of the question. Neglecting your oral health can lead to tooth loss, disease, and overall health problems. However, you can overcome dental fear with sedation dentistry. At our office, we offer two kinds of sedation: Oral Conscious Sedation and Nitrous Oxide Sedation. Oral Conscious Sedation involves a medication taken orally prior to your visit. This method allows patients to feel relaxed in the dental chair, while remaining conscious and able to answer the dentist’s questions. Although your dental procedures may take hours, you will feel as if they take only minutes. Some patients become so relaxed that they fall asleep in the dentist’s chair. The effects of the sedative typically subside the following day. Nitrous Oxide Sedation involves a colorless, odorless gas inhaled through a nasal mask. Many people know nitrous oxide as laughing gas. We will control the amount of nitrous you receive to ensure your safety. Once you begin breathing the gas, you will feel relaxed, so the dentist can perform your dental work while you stay completely comfortable. The effects of nitrous oxide subside once we remove your mask, so if nitrous is the only anesthesia you receive, you will be capable of driving yourself home following the visit and can continue your daily activities as normal. 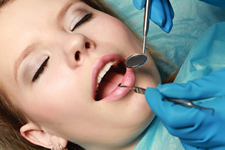 Sedation dentistry can give you the peace of mind you need in order to undergo dental work. You may enjoy better overall health, an improved self-image, and better quality of life with a healthy, beautiful smile. Experience dentistry at its finest. Dr. Kakkar and our team deliver the contemporary solutions and superior care our patients deserve. Call our Hackettstown, NJ dental office today to make an appointment. We serve Hackettstown, Long Valley, Flanders, Blairstown, Budd Lake, Chester, Belvidere, Washington township, Washington, Randolph, Newton, Succasuna-Kenvil, Mansfield township, Sparta, Clinton Township, Phillipsburg, Easton, Stroudsburg and the surrounding communities. Our office is conveniently located where Warren, Morris and Sussex Counties meet.